The run-up to Christmas can be as much fun as the big day itself. 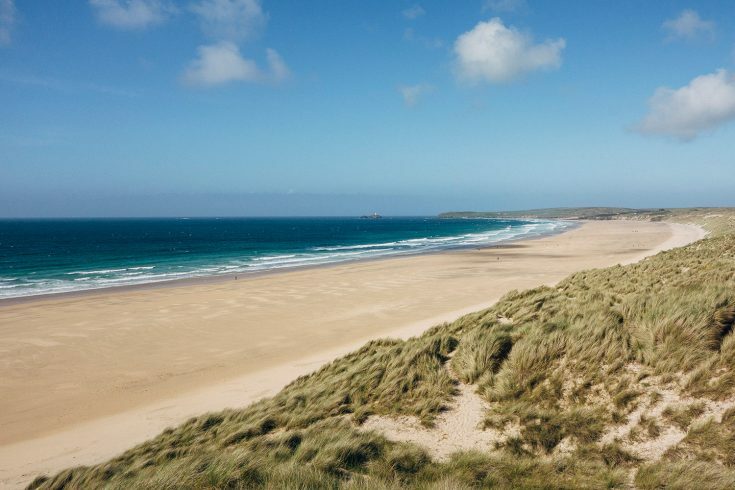 Here’s how to have a very merry December in St Ives. The Christmas shopping season starts here. 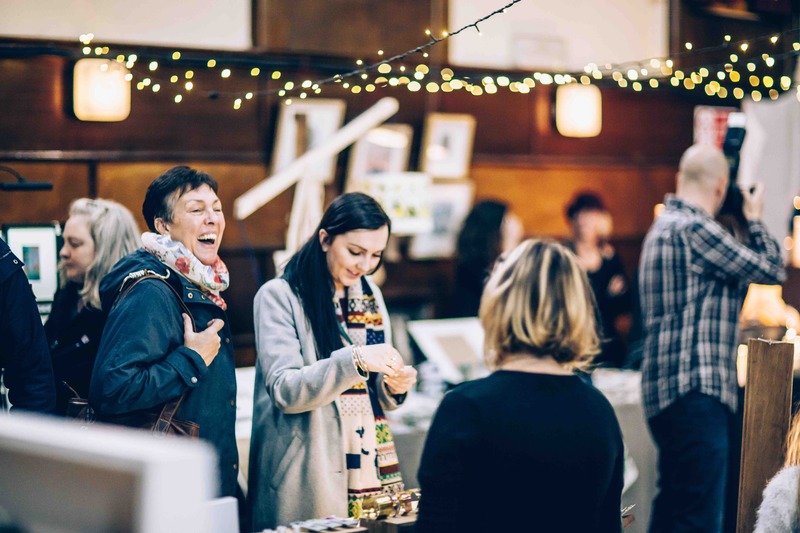 Head to the Guildhall for a cornucopia of original gifts, all created by Cornish makers. 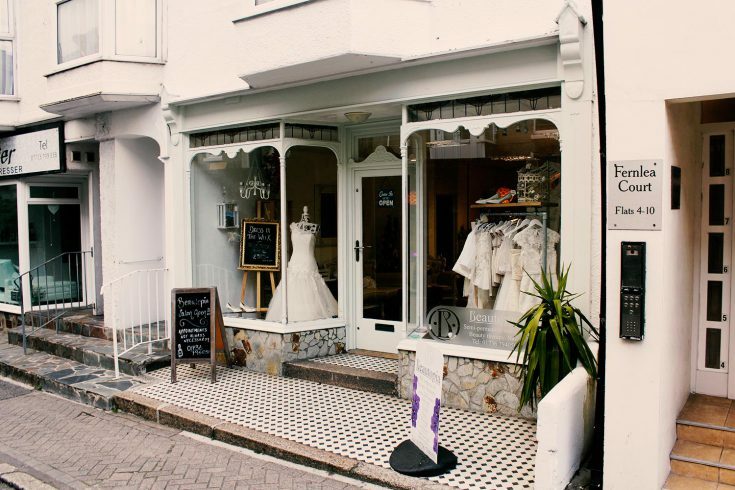 It’s the best place to look for one-offs and unusual items, and the atmosphere’s always fab. There’s a café and live music, making a real event of the annual Christmas present shopping trips. Follow Etsy Makers Cornwall on Facebook for more details. 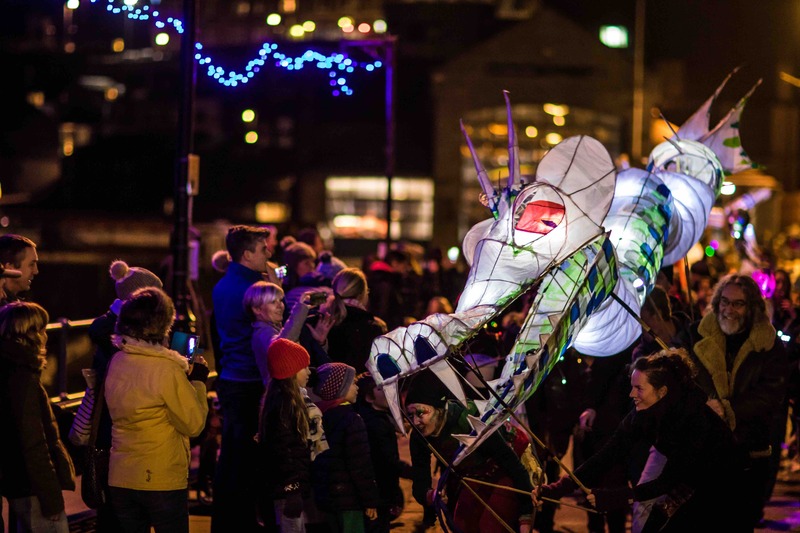 Join the parade along The Wharf at 6pm, and light up the evening streets with festive lanterns. The parade arrives in Royal Square at 7pm to see the town sparkle into life, as the Christmas lights are switched on. The Phoenix Singers will add to the Christmassy mood with traditional seasonal songs. NB: keep an eye on dates and venues for lantern-making workshops in November. Follow the scent of roasted chestnuts to St Ives Theatre, where Kidz R Us are hosting their annual Christmas Bazaar. 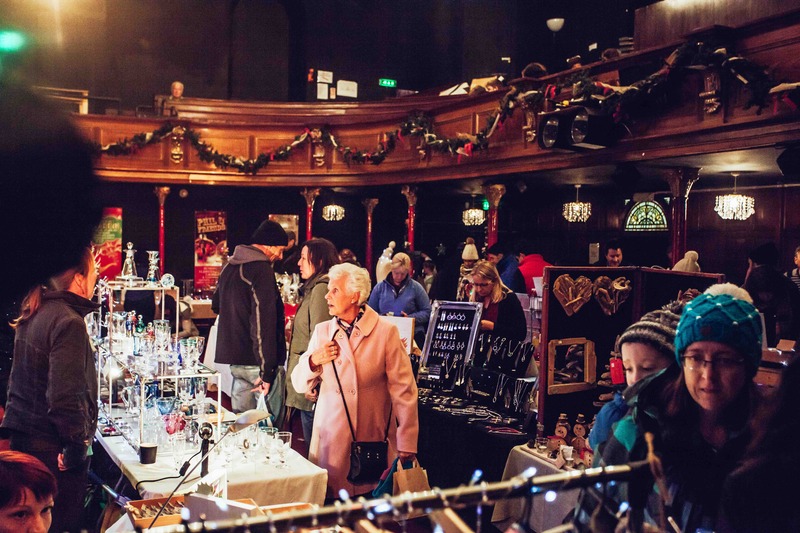 From vintage jewellery to local food, this is another great opportunity to buy some unique and unusual presents. There’ll also be a sneak preview of the Kidz panto (more about this in a moment). 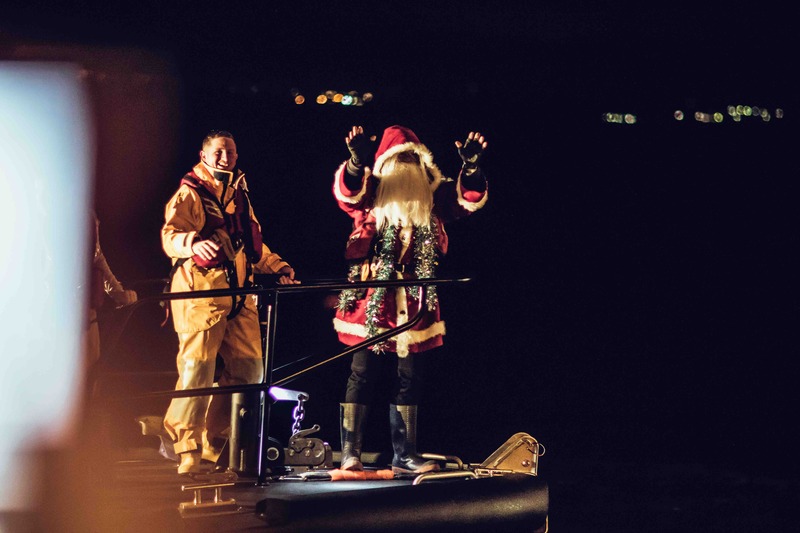 Friday’s high tide will be bringing in a very special visitor… Celebrate the start of the festive season in a uniquely Cornish way with the arrival of Father Christmas by boat. Santa’s hanging around for a bit, and you can meet him at the Salvation Army Centre on The Wharf. It costs £3 for your little one to meet the big man, and this includes a special early Christmas present. This being St Ives, there’s a mermaid as well as Father Christmas. Our very own St Ives Mermaid will be making a special on-land appearance, as well as elves, face painters, and all the twinkly lights and festive bling you could wish for. The festive feasting starts here. Meet at the Rum & Crab Shack on The Wharf at 12:00, and take a trip around St Ives, sampling delicious Cornish produce as you go. It’s like a treasure hunt for grown-ups, ticking off venues on a card as you go. There’s a prize draw in the evening where you can win – even more food! The weekly Thursday farmers’ market at The Guildhall puts on its festive garb for its seasonal event. 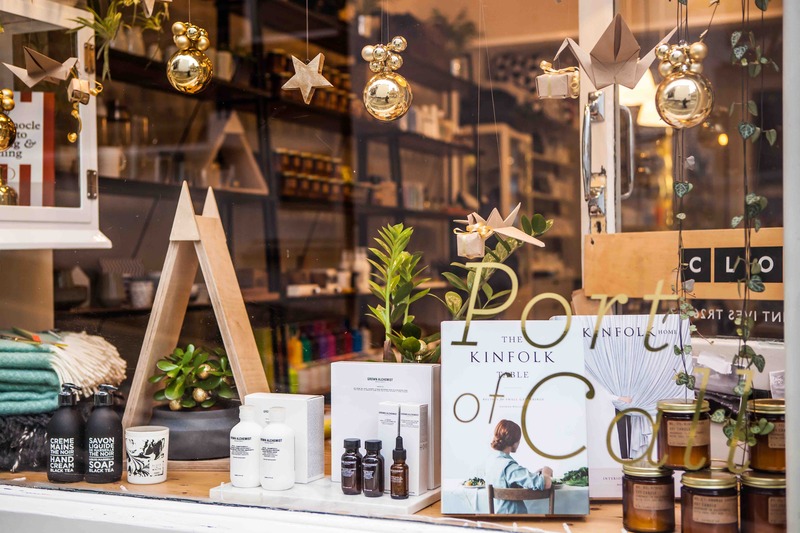 It’s perfect place for last-minute local gifts, or for stocking up on fab Cornish food. The atmosphere is always wonderful, and there’s a welcome café where shoppers can drop their bags and collapse for a bit. It isn’t Christmas without a panto (oh no it isn’t! ), and our local youth theatre company, Kidz R Us, always does a roof-raising job of getting us into the holiday spirit. This year they’ll be performing the sparkly splendour of The Snow Queen. There’s also the annual Phil & Friends revue show on 9 December, hosted by Kids’ founder Phil Barnett. An evening of more sophisticated entertainment, including a buffet. St Ives is a superb place for Christmas shopping. It’s calmer than the larger towns, and has a tremendous selection of unique items in its many independent stores. The narrow old streets are Christmas card-perfect, and there are so many lovely cafés and bars for a post-shop treat. The town always looks wonderful, helped by the now-traditional window display competition. This year, the theme is “The Snow Queen” to tie in with the panto: expect lots of glittery gorgeousness. Find out how to vote for your favourite window. 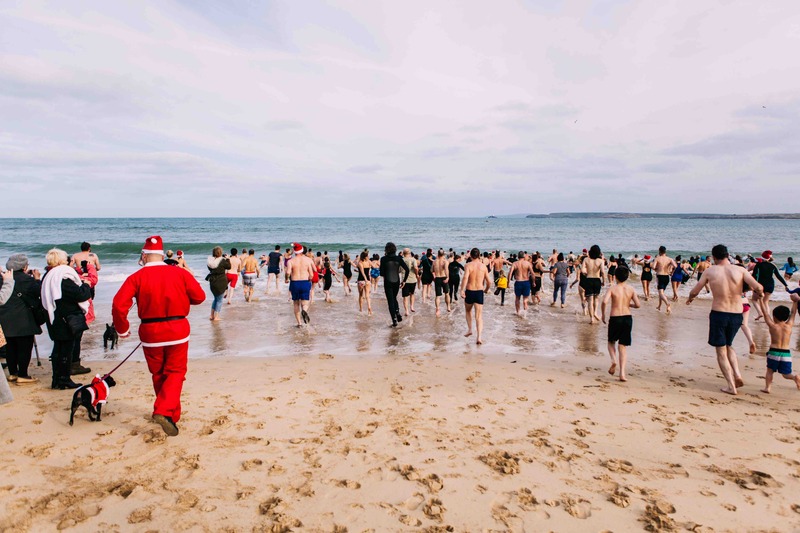 Gather on Porthminster Beach for the annual hangover cure that is the St Ives Boxing Day Dip. Wear a bikini, wetsuit or Santa outfit (it’s entirely up to you). Sea-dogs and hardy kids are welcome too. The amazing St Ives Mermaid will be making an appearance. It’s a free event, but if you want to make a £1 donation, there’ll be a collection for Mind. If you’d rather not leap into the sea half-naked in December, come along and support your freezing friends by holding their towels. Follow St Ives Boxing Day Dip on Facebook to keep up to date with the latest info. 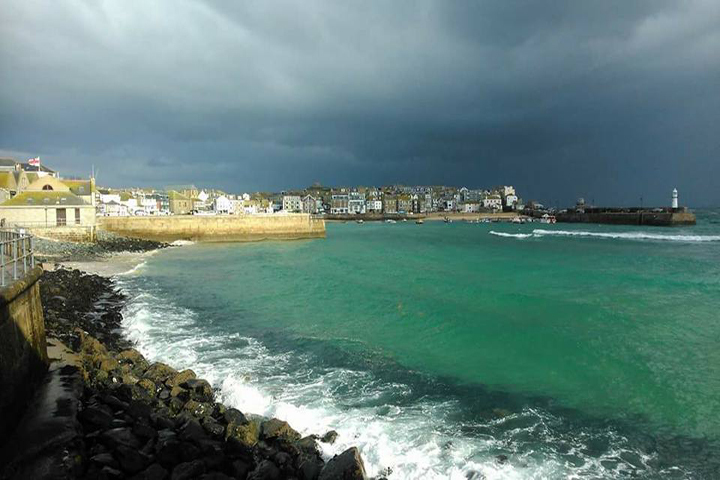 St Ives has become one of the UK locations for New Year shenanigans. 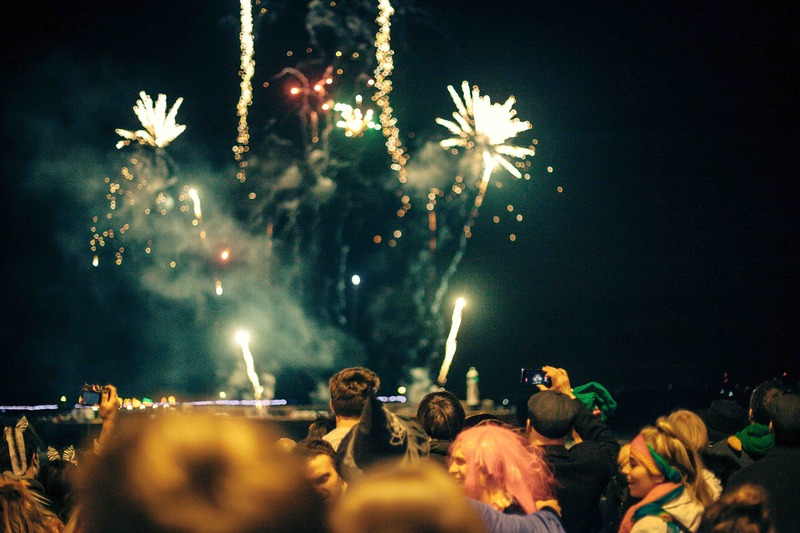 Lively, loud and (mostly) family friendly, the fun starts with groups of revellers parading around the streets in their coordinating costumes, and culminates with fireworks on the beach at midnight. There’s street food and music, and the pubs and bars pull out all the stops. If you want a showstopping outfit, Kids R Us hire costumes for the night. Call in between 11am and 4pm during the day on New Year’s Eve, and within hours, you too could be a cat, a queen, or a crayon. And… relax. December in St Ives has been magical. Reward yourself by starting the New Year with a bracing stroll along the sands followed by a steaming hot chocolate in the town. Happy New Year!